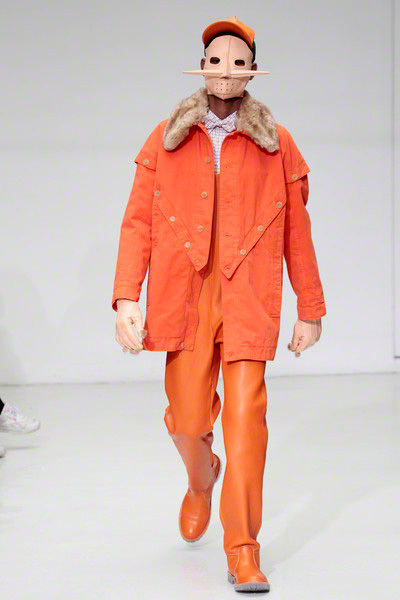 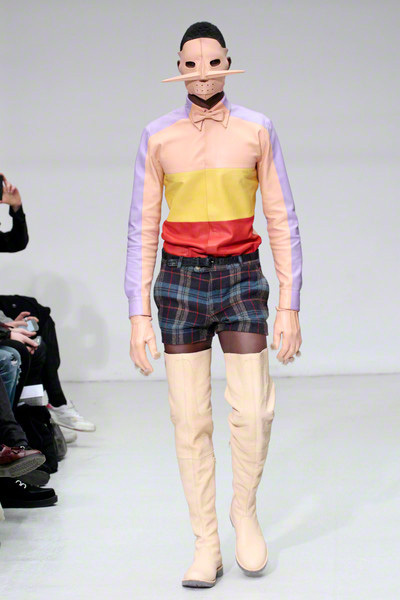 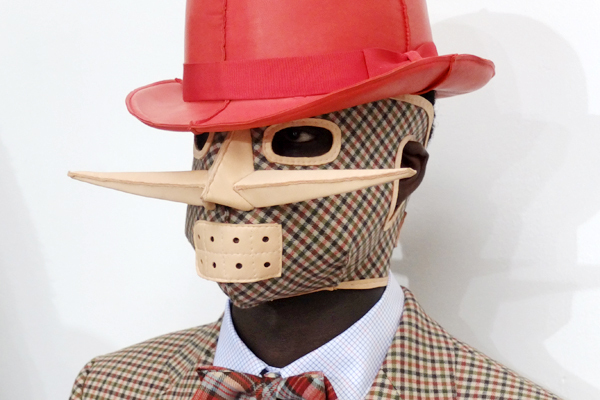 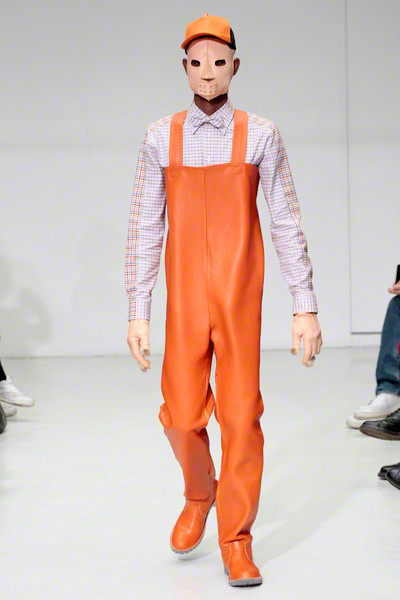 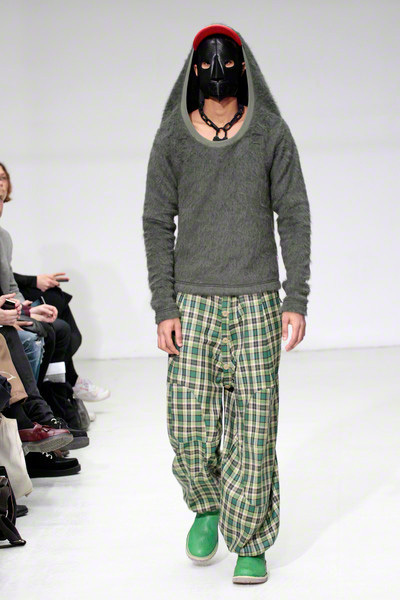 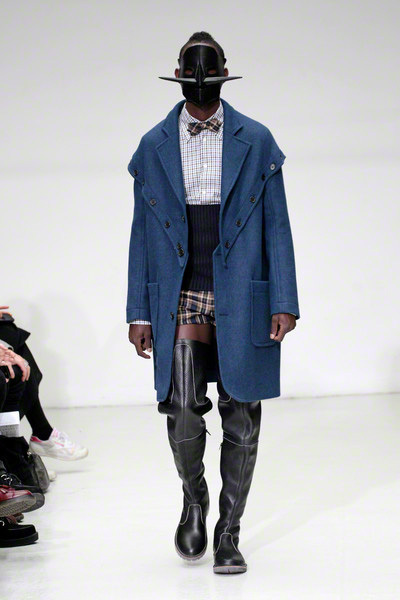 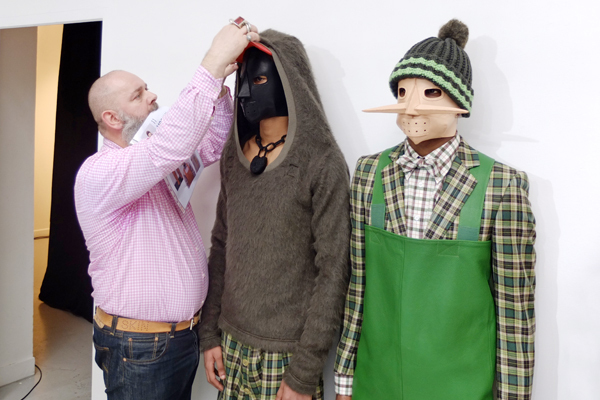 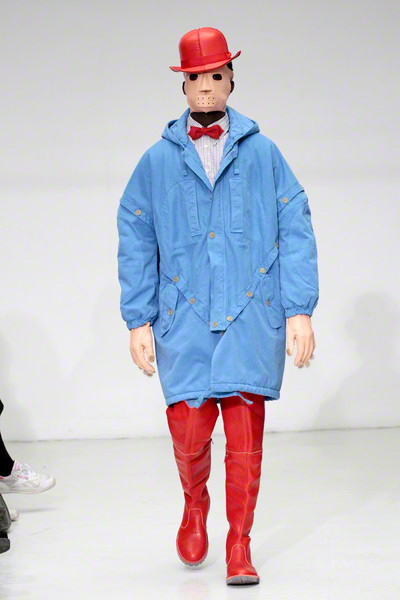 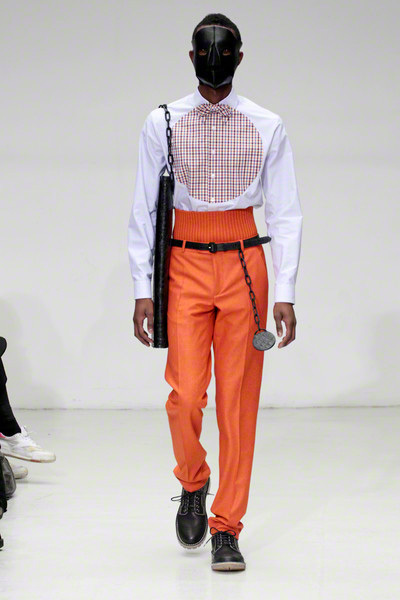 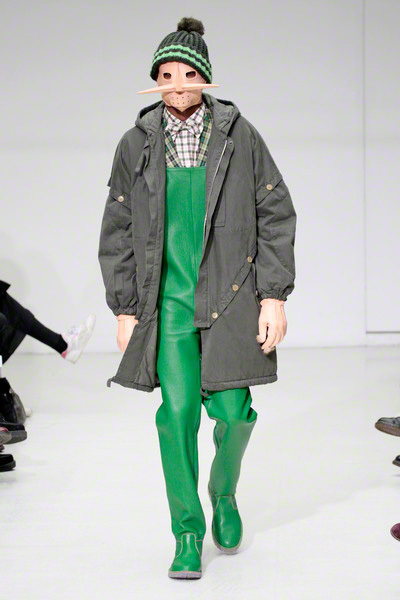 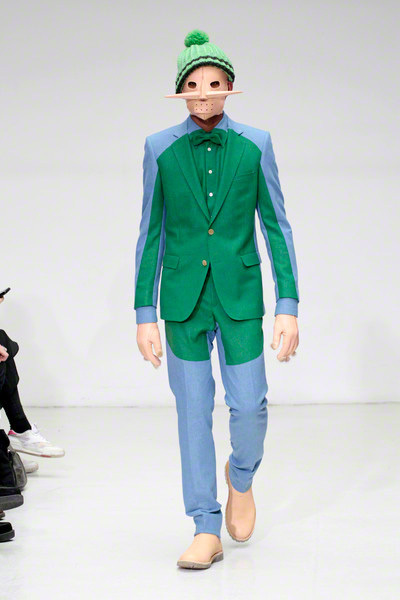 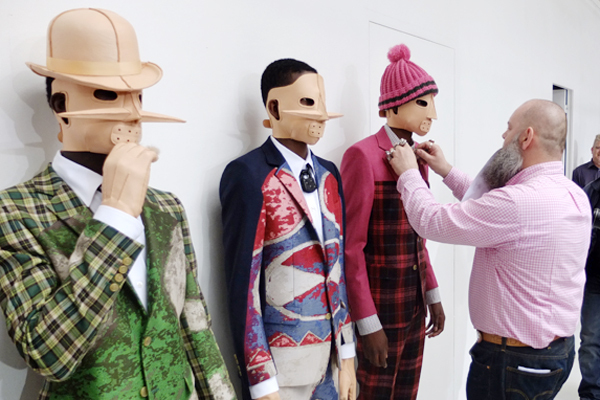 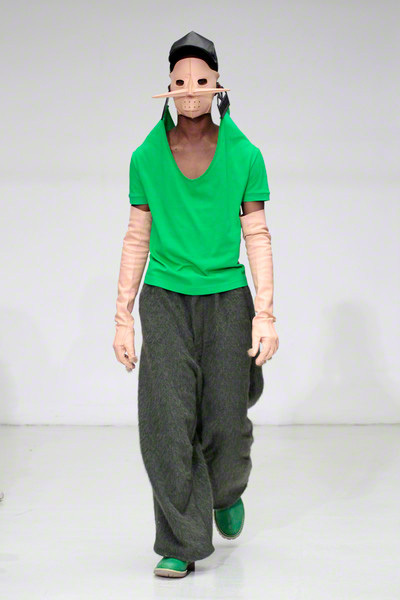 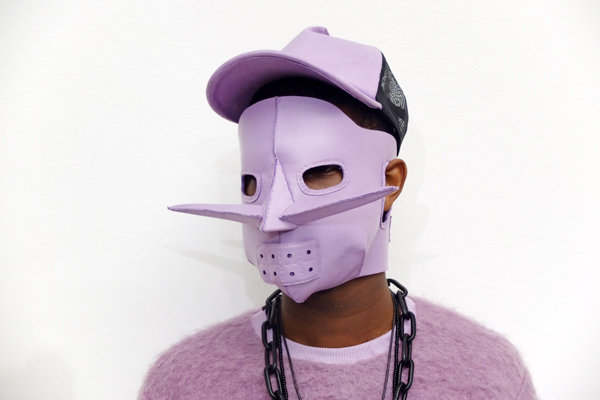 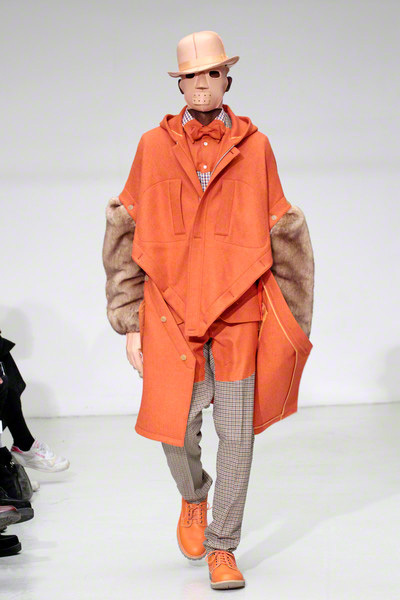 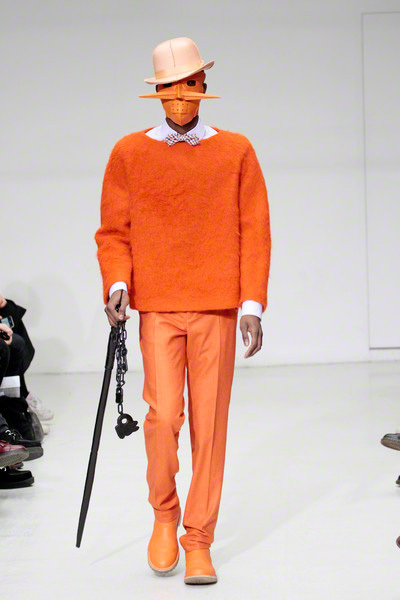 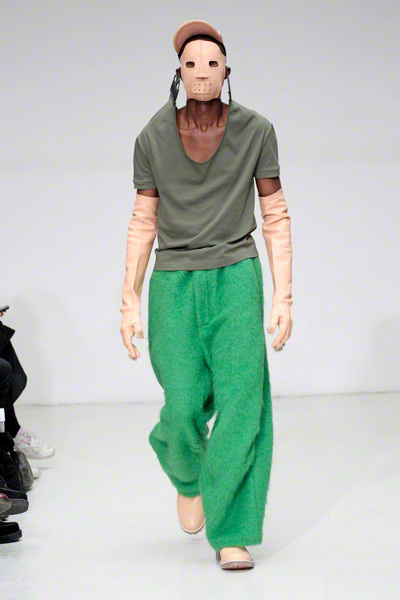 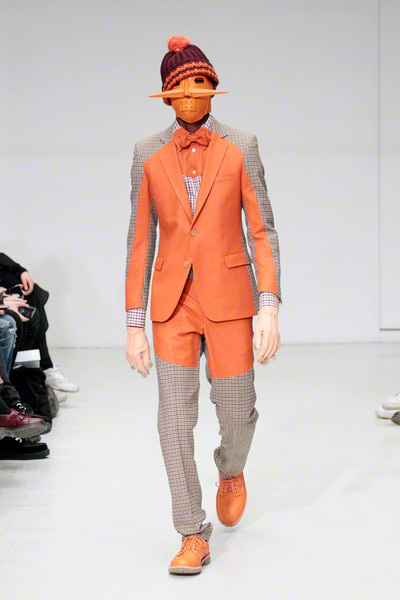 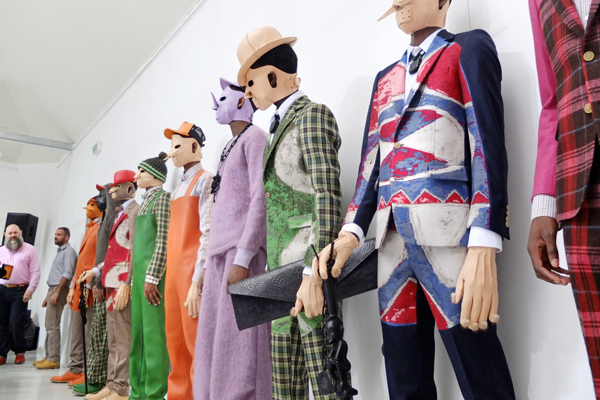 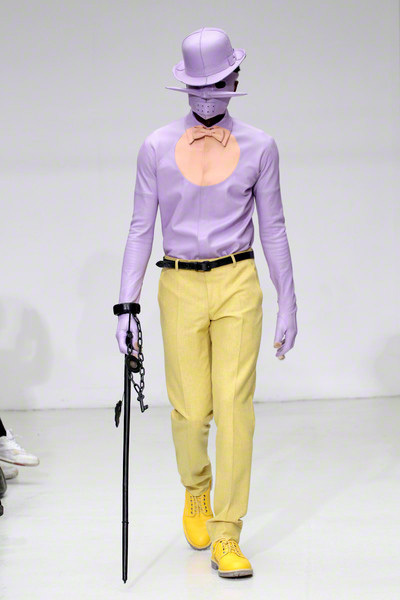 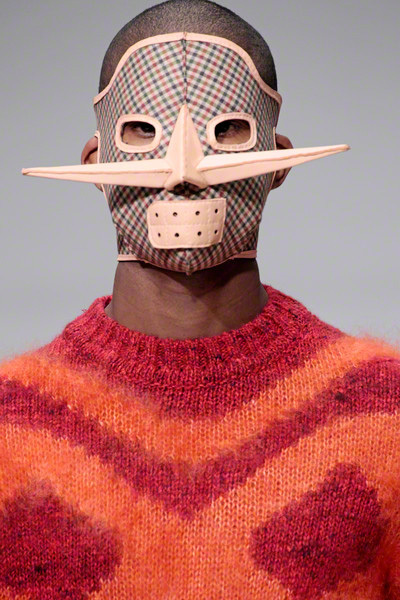 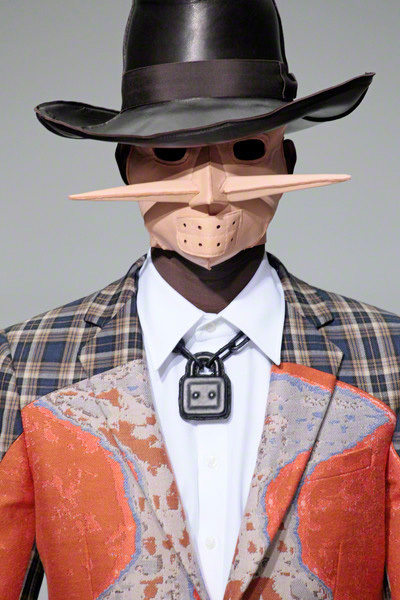 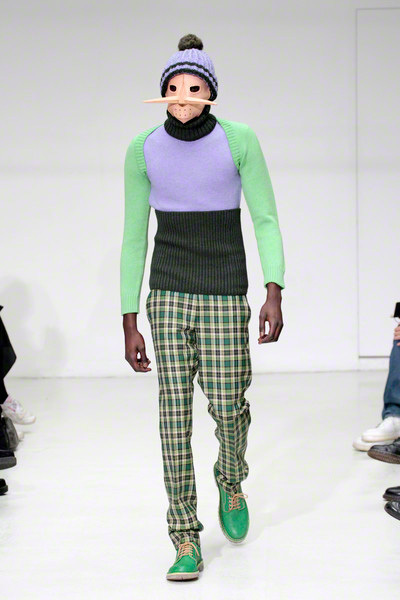 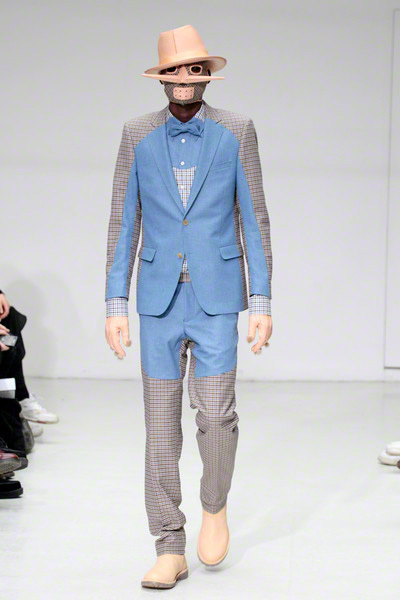 That was sa quite disturbing mask the models were wearing at the Walter van Beirendonck-show, especially when you realize the models underneath the white skintone mask were black…. 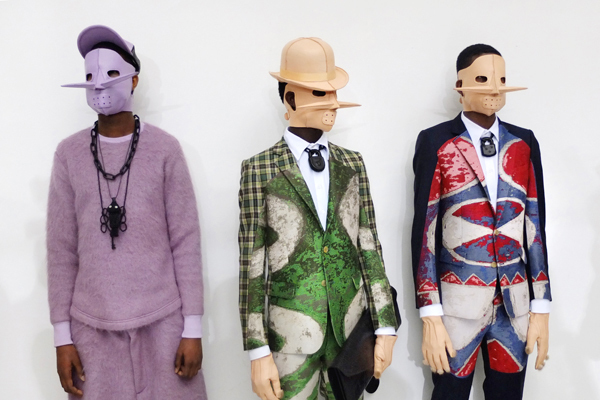 But those confronting themes are familiar when it comes to the Belgian designer. 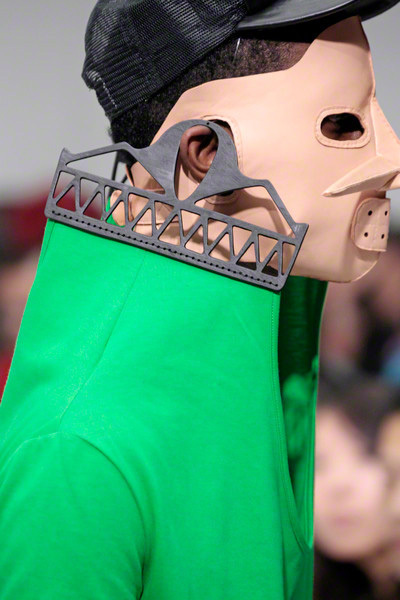 He’s not afraid of some discussion. 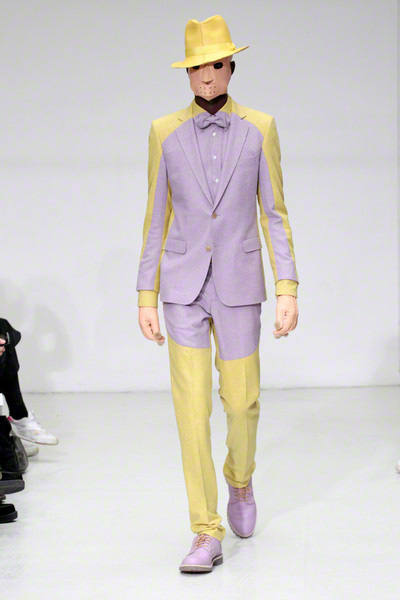 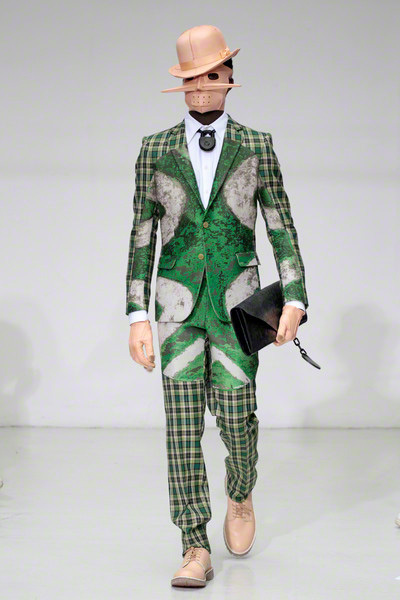 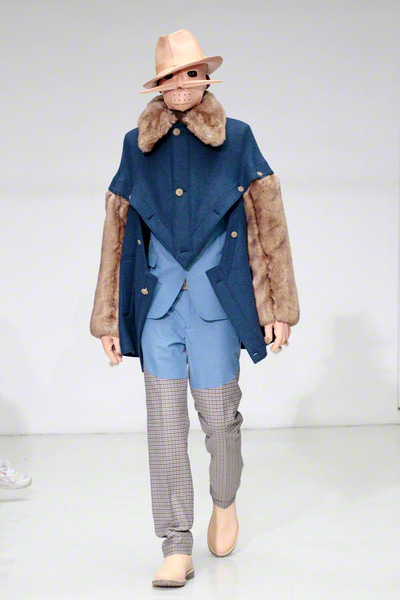 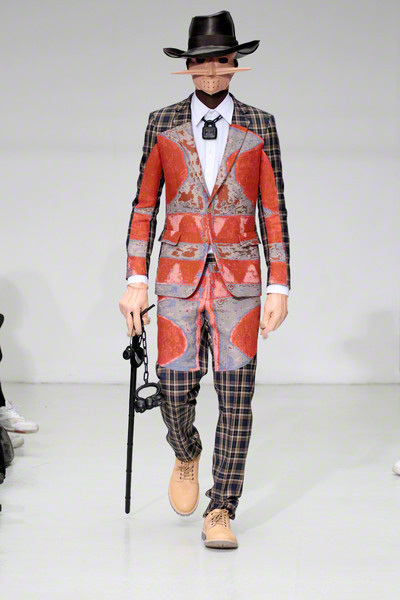 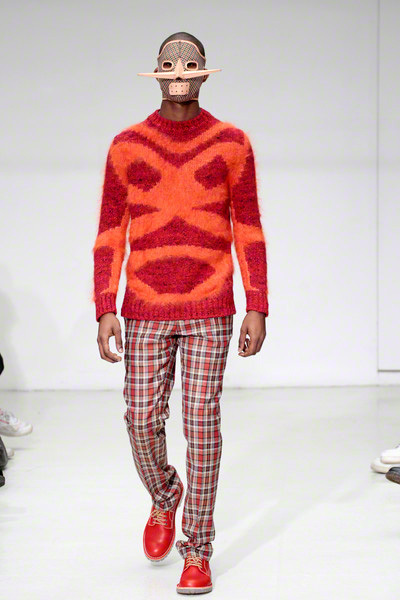 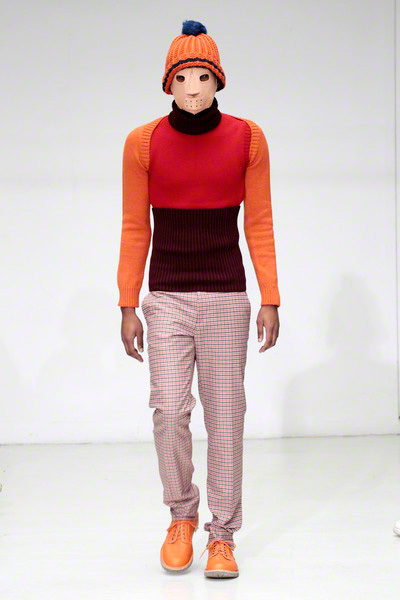 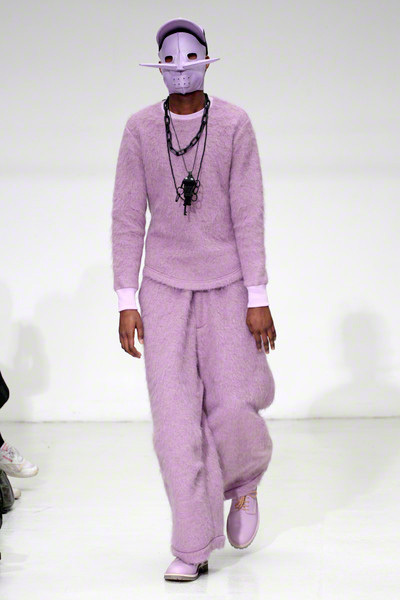 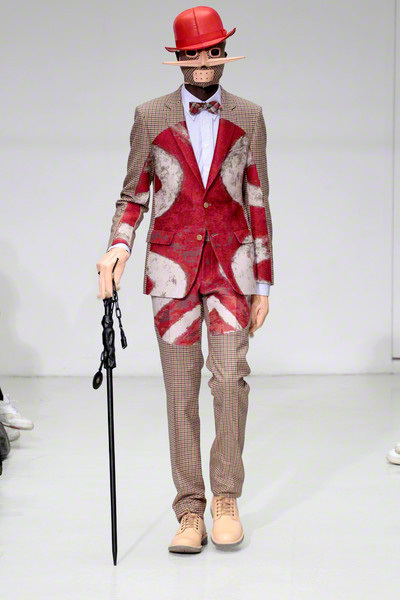 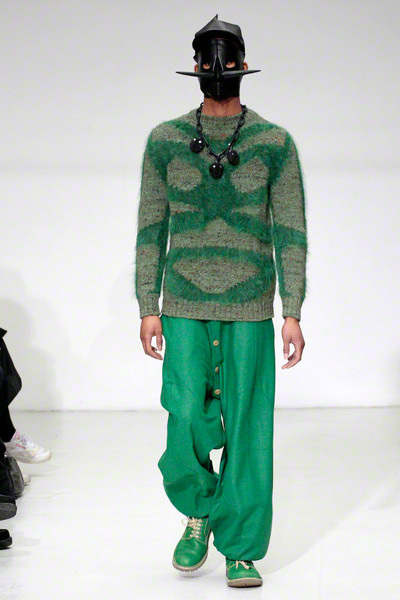 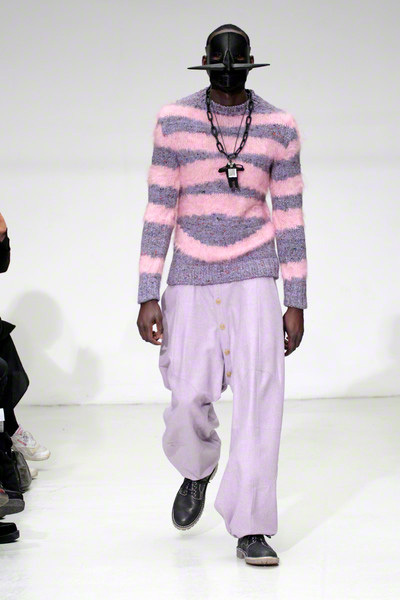 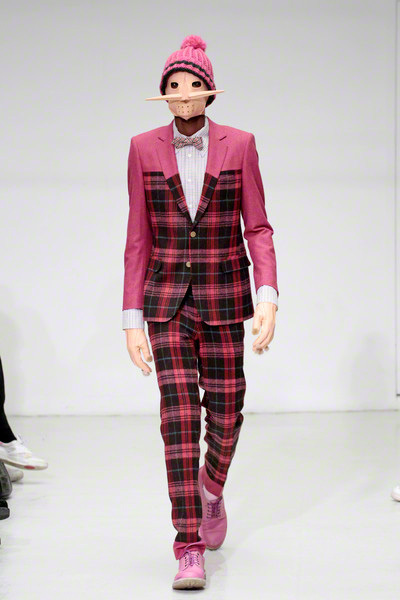 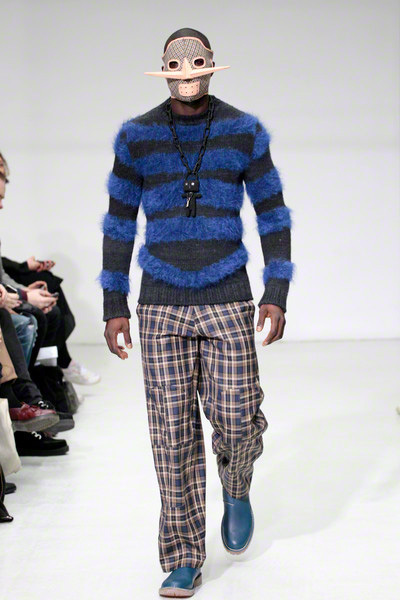 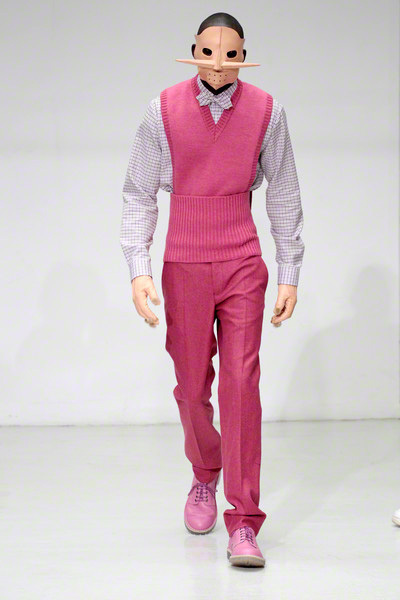 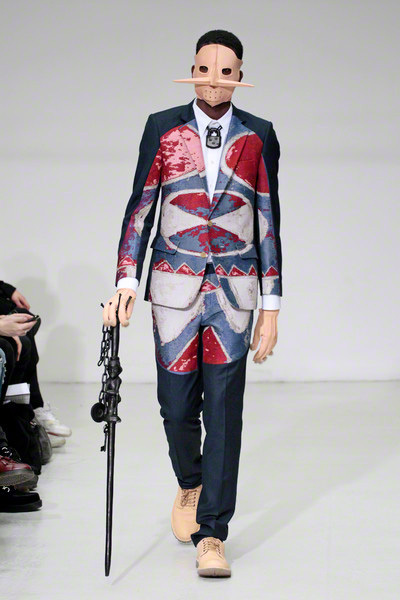 His show started out with well-crafted, sartorial looks in bold colors and plaids, which gave way to baggy streetwear, including mohair sweaters.